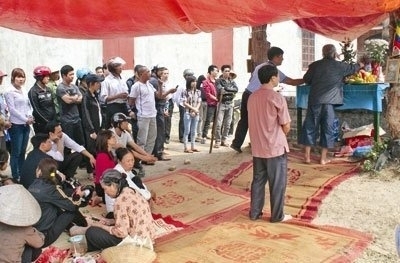 VietNamNet Bridge – Since the lunar New Year, thousands of people have flocked to Tan Son village in Tan Dinh Commune, Lang Giang District, Bac Giang Province to see and worship a snake because they believe that it is the God of Snake. Animism, the belief that there are spiritual forces, spirits and gods in all things (animals, plants, inanimate objects, locations, etc.) is pervasive throughout Vietnamese culture. Pray with us that the peoples of Viet Nam will have their eyes opened to the truth that salvation may be found in no other name than Jesus Christ! Pray that as they seek to connect with the spiritual they will find the love and grace offered by Almighty God.